Install granite countertops in your home today! Have you ever heard someone that was looking to purchase a new home say that they didn’t want granite countertops? It’s the top material for countertops in popularity, and there are many reasons why. It’s a top choice in home design and comes with many benefits that include beauty and function. Here are three advantages of choosing granite countertops. Granite is an incredibly appealing material for use on countertops and is often sought after by potential homebuyers. Although it won’t necessarily lead to a steep increase in your home’s value, it does make the interior of your home much more appealing to a larger number of potential homebuyers if you are thinking about putting it on the market at some point. When many people walk into the kitchen, the countertop is one of the first elements that catches their eye, and having granite is a very popular and attractive option. As one of the most durable options on the market for countertops, it’s hard to beat the function and long-lasting nature of granite. In fact, out of all stone-based countertop options, granite makes the top spot on many lists, including its ability to withstand high heats and its resistance to scratching and chipping. You can even extend its durability by sealing and resealing it periodically to ensure that it will continue to withstand these elements, plus staining. Because it’s not a porous material, granite is also resistant to bacteria and dirt, making it a safer surface for your family to cook and eat on. The flat surface is easy to wipe clean and ready for continuous use for years to come. 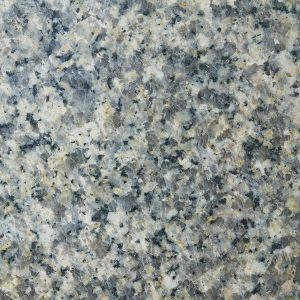 There’s no need to use any staining or paints as natural granite features a timeless beauty. That fact alone makes granite a much more environmentally friendly option than other available countertops. Furthermore, because granite is a natural rock, this means that it hasn’t been manipulated using any factory manipulation and creation, other than the process of shining and cutting. This entry was posted on Friday, January 19th, 2018 at 4:51 pm. Both comments and pings are currently closed.